Home / News / The Center for Scientific and Technological Equipments Walailak University. Invited to participate in the competition, answering scientific problems. 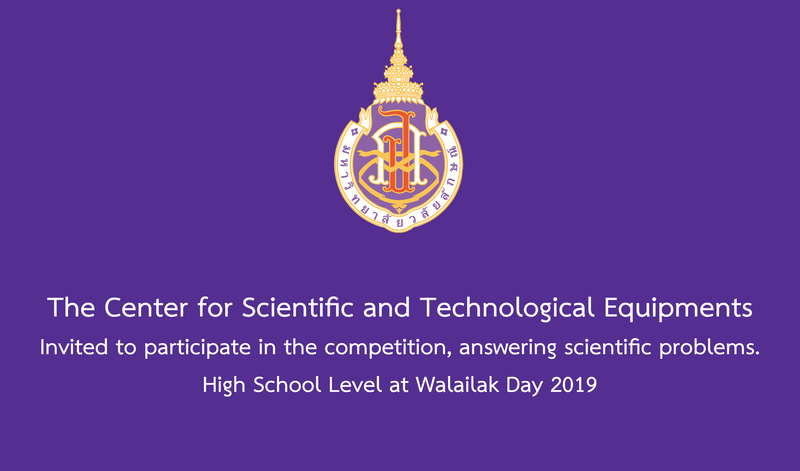 High School Level at Walailak Day 2019. The Center for Scientific and Technological Equipments Walailak University. Provide competitive activities, answering scientific problems To compete for knowledge and competency of students in upper secondary school Which will help motivate students to be enthusiastic, interested and prepared in academic It also gives rise to the awareness of the potential assessment of learners and creates an atmosphere of scientific learning outside the classroom for students to be in line with the teaching objectives. It also promotes the academic atmosphere of science. On Tuesday, April 2, 2019, from 08.00 AM. – 16.30 PM. At the Walailak Day 2019 event. Previous The Center for Scientific and Technological Equipments Walailak University. Thank you to the donors for making donations to the body. 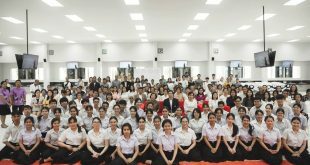 Academic Year 2018. Next The Center for Scientific and Technological Equipments Walailak University. Organized a science camp for students from the Kanarasdornbumroong Yala School, grade 1 and grade 5, Science Math Ability Project (SMA), 64 people on 2-5 March 2019.